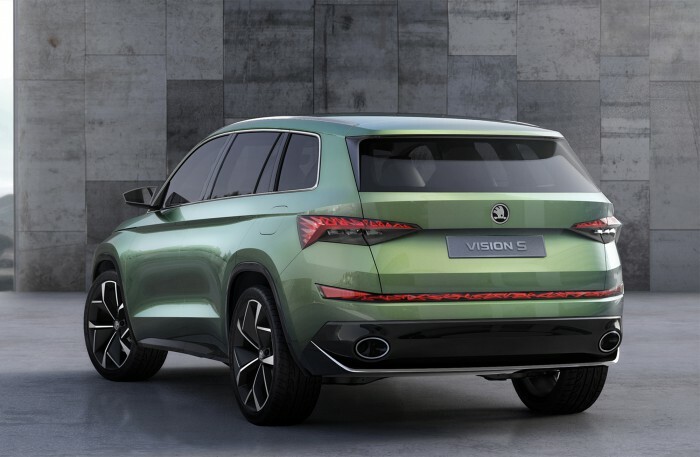 Skoda has finally come out with official images that disclose many details about this new VisionS concept SUV. Despite all the arrangements for its debut at upcoming Geneva Motor Show, this action has stunned the consumers as well as its rivals. There is also a rumor that it will be christened as Kodiak. Well, the show is just about to commence from March 1st, we could expect all the details will be confirmed there. As per the reports, the new model will be based on the company's MQB platform and will come with a 6 seating option spread across three rows. The dimensions are measured at 4,700 mm in length, 1,680 mm in height, and 1,910 mm of length. At the exterior, it has been loaded with new LED headlamps and large grille. The side profile has also been changed with a sharp tornado line, while a reflector fitted with rear bumper and large exhaust pipe with diffuser give it more sporty look. Inside the cabin, it will feature a large digital display designed for "digital networking" and infotainment system and "connect to the network in several ways from each seat in the vehicle" said by the company. 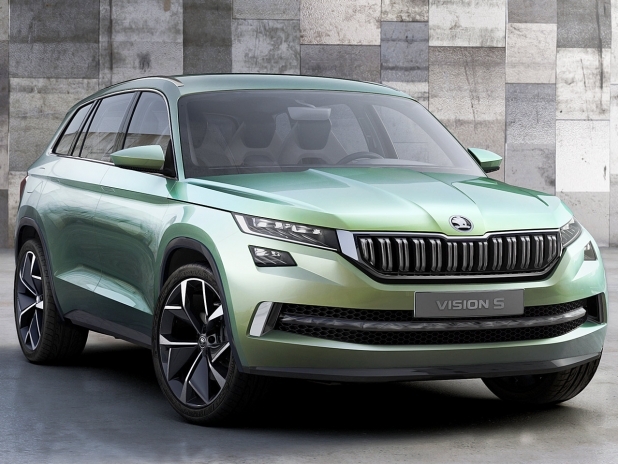 Combined with three motors, the Skoda VisionS comes with a petrol-electric hybrid unit. To deliver the power at front wheels, a 154 Bhp, 1.4-litre petrol engine is combined with a 54 Bhp, electric motor as well as the third motor is connected to send power at rear axle that generates 114 Bhp. 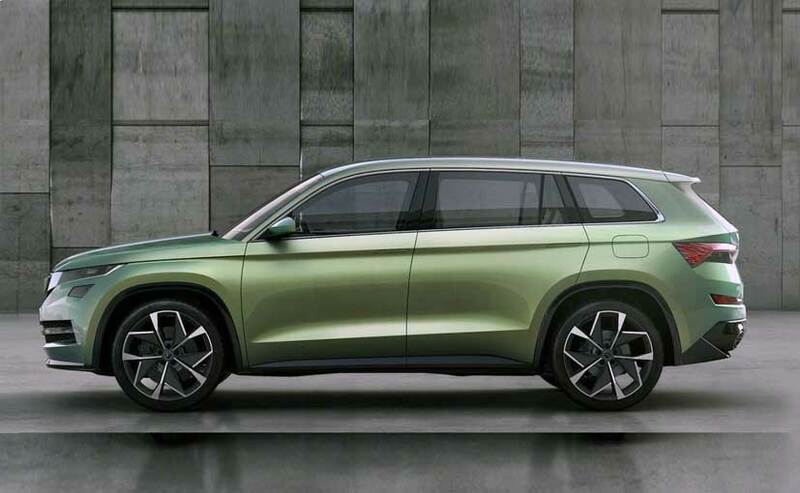 According to this new system, this hybrid engine will be churning out 222 Bhp of power and the company has called this a 'smart' all-wheel drive system. Meanwhile, a six-speed automatic gearbox will be also available. According to the brand, it is capable of reaching 0-100 km/h in just 7.4 seconds.